When you plop your roast, pizza or casserole in the oven, set the temperature and turn it on bake, it feels so easy anyone could do it, right? But what happens when the oven doesn't heat? What could be wrong? Well, the problem may be with the electric oven ignitor. Not to worry: With a few tools from the electrical toolbox and a little patience, you can change it yourself and save a little money. This easy fix takes less than 15 minutes. 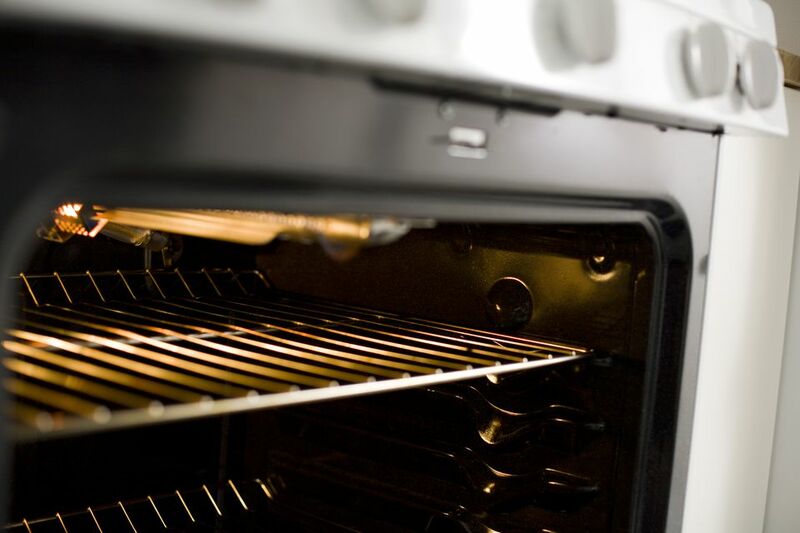 Disconnect the Power to the Oven or Range: As with any electrical project, always disconnect the power to the appliance that you will be working on. To do this, either unplug the appliance's cord from the wall or turn off the circuit breaker or fuse that supplies the power to the circuit. Use a circuit tester to double-check that the circuit is actually off. Access the Ignitor: Open the oven door and remove the oven racks to allow access to the oven base plate. Remove the two screws holding the base cover on. They are located at the rear of the oven plate. Pull the oven plate out and you'll be able to see the ignitor. Remove the Ignitor: Locate the ignitor and observe carefully how it is situated. You will install the new ignitor in exactly the same way. Unplug the two wires (or wire harness) connected to the ignitor. If the ignitor wires are joined to the appliance wires with wire nuts, untwist the wire nuts to free the wires. Remove the two screws that hold the ignitor in place and pull the ignitor from the oven. Install the New Ignitor: Position the new ignitor in place, just like the old one. Handle the ignitor very carefully; it is fragile, and if it chips or cracks, you can't use it. Secure the ignitor with the two screws. Plug the wires or harness into the ignitor. If yours has wire nuts, connect the wires using new ceramic wire nuts. Caution: Do not use plastic wire nuts, which would melt in the oven. Replace Oven Cover Plate and Oven Racks: Replace the cover plate on the bottom of the oven and secure it with the two screws at the rear of the plate. Install the oven racks and you are ready to test the oven's operation. Turn On the Power: Turn on the power to the circuit feeding the oven or plug the cord in. Set the oven to heat to make sure it ignites immediately and warms up normally. Always turn the power off to the circuit you will be working on. If you smell gas inside the oven, turn off the gas valve and open windows to ventilate the area. Call a plumber or appliance technician to look at the oven; do not attempt to fix it yourself. If there is a strong smell of gas in the kitchen or anywhere else in the house, leave the house immediately and call 911 from outside the house.